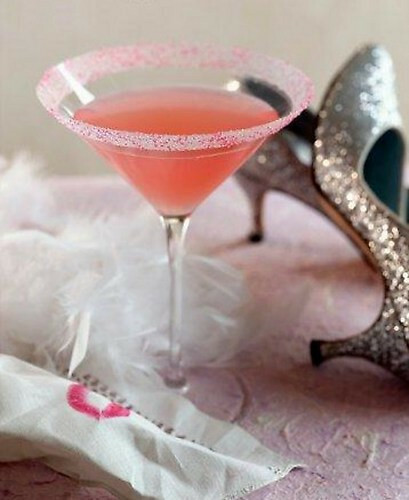 This martini is so yummy- its like chewing on Bubblicious gum, while getting tipsy! It is also very pretty to look at. It’s definitely a girl’s drink and can be garnished perfectly for a fun ladies’ cocktail party. Directions: Put 5 cubes of ice in shaker and add all ingredients and shake well! Rim glass with pink sugar. Garnish will cute gum balls, gummy bears, or maraschino cherries! 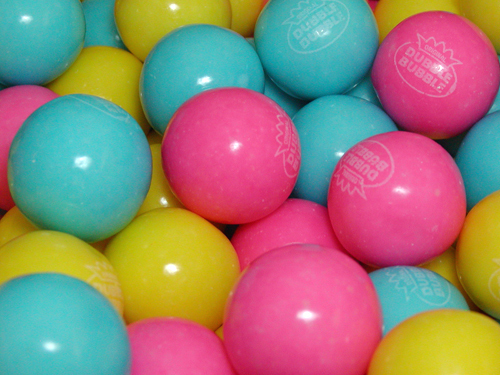 I just want to stare at this drink and the gum balls! YUM! I’m going to go to the “store” right now!